From Thakur’s departure onward, it was always both painful and awkward to answer the query, “Is Thakur alive ?” It was hard to say he died, because the feeling of his presence never left, nor did his influence wane : in fact, in many ways it increased. Hence, the description of ‘left his body’ seems in Thakur’s case more apt. I was sitting on the back verandah of our house one afternoon and talking with an old friend, Sudhir Choudhury. He’d been a teacher, a devotee of Thakur for a quarter century, and during the later years, we had become very close. I respected his wise compassion, his courage and his special kind of perception. He also was blessed with a kind of self-confidence that remained undisturbed whether he was right or wrong. “Why some have found it so easy to adjust since Thakur left” I commented. I felt excruciatingly lonely during these months following Thakur’s departure. “Well, I don’t ;know,” Choudhury became thoughtful,. It will take a lot of courage … courage to remember his compassion and his mercy in every trying situation. And that courage can only come out of love – not by money or tricks or strength … “ he seemed taller as he went on “ “that love can maintain a maximum freedom for everone, an apparent anarchy of dessent, a disorganized organization thatlooks so inefficient but proves so effective. We have to remember that in Thakur’s Satsang family there was always a place for the criminal and contemplative, the agreeable and disagreeable, the wise and foolish. This open loving tolerance is the feeling that can bring forth the fruit. Now, it’s time for the friot.” Choudhury lit a cigarette and sat down. Thakur’s precise instructions that Bor’da take over the community helped this eldest son to stabilize and guide the organization in the face of almost insurmountable problems. The effect of his failure to follow Thakur’s request to sit on his bedstead some months earlier, now became apparent. He could not, and did not even attempt, to run the community and movement with no structure as Thakur had. Regulations became more numerous. Irregular pathways through the yard were replaced by neat, cement walks. Haphazard patches of vegetables and followers became orderly kept, fenced in gardens. Trimly painted signs appeared; many with Thakur’s dicta, some with appeals to stay off the grass and not pick the flowers. Thakur’s rooms were maintained meticulously. One large room became a center for all the relics that Bor’da could collect. Prayers began promptly and worship services were precisely organized with an efficient public address system and neon lighting. In short, the community became more systematized and methodical. Within a few years, none could deny the fact that Bor’da’s unceasing effort to be an emotional center for growing thousands who had never seen Thakur was effective. To some he was, in the tradition of the original Satsang in Agra, the new ‘Satguru’ to whom Thakur had delegated his power. To others, he was the one in whom Thakur had promised in writing that men would get a glimpse of Thakur. To still others, he was the head of this dynamic, growing organization. 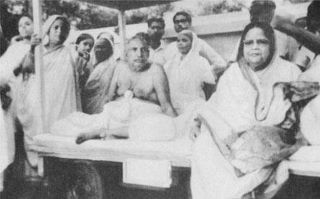 Whether it was a glimpse of Thakur, or a Satguru or a Pope, all admitted that his expansive sense of responsibility for the helpless and the neglected, his insight and inspiration for those seeking for purpose and his steady strength in the face of numerous cross-currents and conflicts gave to many a sense of stability, regularity, organisation and a touch ofThakur’s love. Though the Ganga-Darwa Project and the vast Sandilya University scheme lost much of their momentum after Thakur’s departure, yet, the vision of the Medical College and the five hundred bed Hospital remained very much alive under Kazal’s dynamic leadership. Within three years, it became apparent that the small hospital squeezed between the auditorium and the community kitchen had no area for expansion. Also because it was so completely intertwined administratively and financially with the Satsang community, any independent development was impossible. 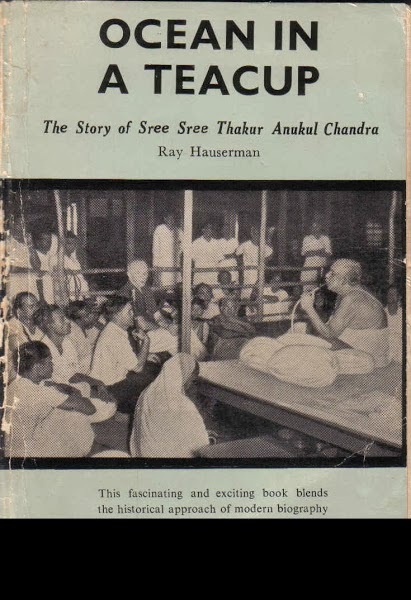 Therefore, in 1973, through and adjustment between Kazl’s and Bor’da, The Sree Sree Thakur Anukul Chandra Charitable Hospital Trust was registered as an independent institution dedicated to the materialization of Thakur’s dream of a Medical College and Hsopital. This new hospital opened its door that spring in an eight room, residential house situated on three acres of land purchased by Kazal’s Mother and located only a stone’s throw north of the Thakur’s House. It did not take ling to become known. In summer that year a yound Mohammedan boy, Abdul Suleiman, from a nearby village whose cleft pallet was so severe he had never uttered an audible sound was admitted into this haphazard hospital. Kazal with his small but highly skilled staff led by Damodar, Anil and Soamir, operated on a makeshift table in the living room now converted into an operating theatre. The opallet was repaired by the flat hans position in a two hour operation. Two weeks later the boy uttered his first sound. Two months later, the reputation had been established in and around Deoghar that Kazal could make the dumb speak. The number of patients increased rapidly, and when a few months later, he operated on a seven year old boy with an inversion of the foot and hyperflexion of the heel so that the boy able to walk for the first time in his life, another dimension was added to his surgical skill; he made the lame walk. Besides This success as a surgeon, a number of individuals found Thakur’s concepts expressed with such deft rationality by Kazal that they looked to him for guidance and inspiration. This necessitated the establishment of a further ashram. Hence, by 1975, some people were finding that beneath his apparently innocent helplessness, Kazal possessed an irresistible faith in Thakur, a willingness to endure, and a capacity to inspire others to endure, the sacrifice necessary to make Thakur’s dreams a reality. Though not in great number, yet they grew unconsciously into an effiecient faith that made them feel Kazal was coming to fulfilling Thakur’s prediction about him; “He would perhaps be the great, fulfilling man of the future.” To more and more, Kazal represented a forceful sense of mission, challenging innovation and fulfilment through practical service.